Sammy Harwell was introduced to volleyball when she was in middle school. As a seventh grader she played for her school’s junior varsity team for two consecutive years as setter. In high school, she continued to play as setter on JV her freshmen year, and then varsity for the next three years. She was captain of her varsity team and played in the BCAA All-Star game her senior year. Outside of school she played for various club teams, including Broward Performance and Boca Elite, where she played as defensive specialist and libero. Upon graduating, Sammy attended the Florida State University to pursue a career in Communications and Journalism. During her collegiate years she only continued with volleyball on a recreational level, and worked as a referee for matches around the local high schools. After earning her degree, Sammy moved to Spain for a year where she spent time teaching English and traveling around Europe. After returning stateside, she began coaching the middle school volleyball team at Coral Springs Charter School, which she coached for two years. She started coaching club volleyball in 2013 with Atlantic Coast Volleyball Club. Currently, she teaches her passion – Yearbook and Broadcast Journalism at Coral Springs Charter School, and is the junior varsity volleyball head coach. 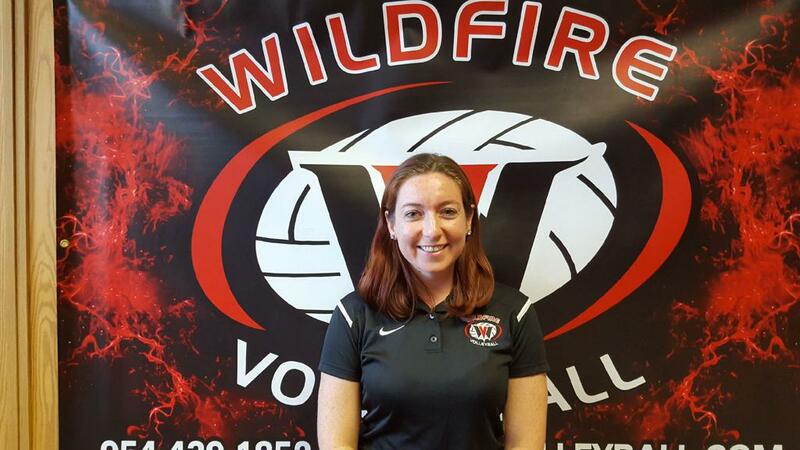 This will be her second year coaching at Wildfire.